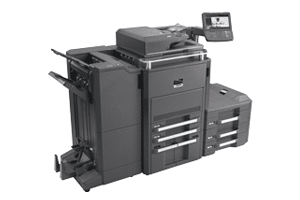 The WorkCentre 7220/7225 is the machine you need to help print responsibly, with confidence. You can choose from a variety of features that help you keep your spending in line. This is a machine that will impact your bottom line while offering colors that are as bold as they are affordable. You can even regulate and control various functions of the machine. The WorkCentre 7220/7225 comes with Earth Smart features that let you select default settings for responsible use. The WorkCentre 7220/7225 is one of the best machines around for allowing you to control your spending. This machine is what you need to make sure your bottom line is where you want it.